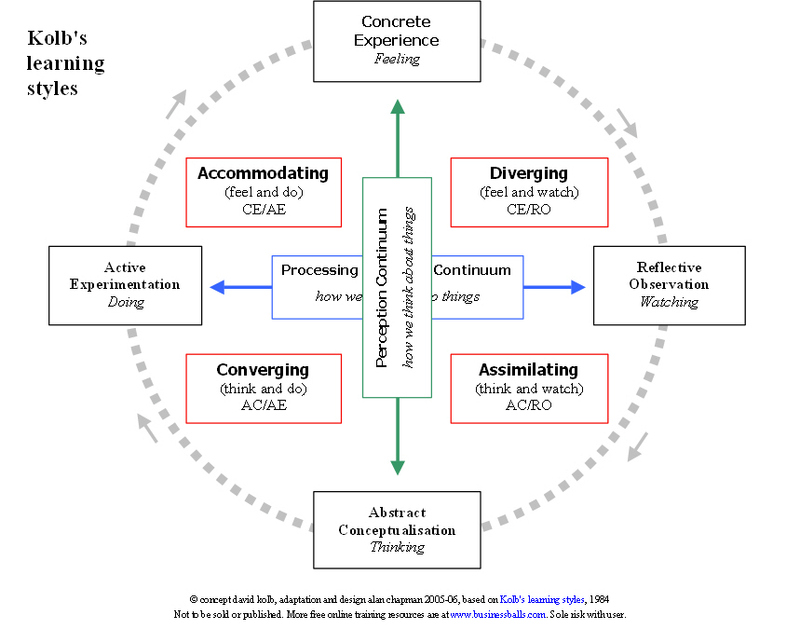 They all are kind of the same: the selftests for learning, thinking, coping somehow end up in likewise quadrants (Deming: plan, do, act, check; Kolb: accomodating, diverging, converging, assimilating and Gregorc thinking styles – also see picture). On top of that Four Sight “innovation tools help people meet challenges more effectively. Used by teams and organizations to boost problem solving, build teams and strengthen communication”. 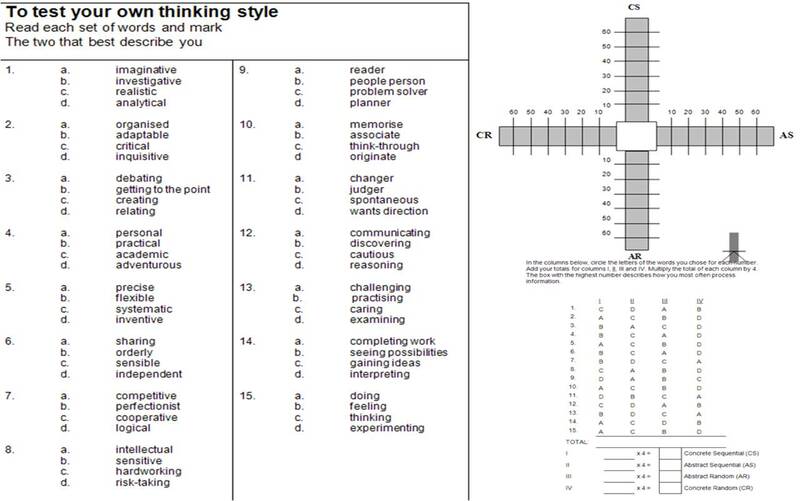 A method that plots your qualities on a map, and helps you respect other people’s input as complementary to yours. The 4 sides: clarifier, ideator, developer and implementer. Why is it so hard for us humans to do teamwork? “Know thyself and the others and make the best of the capacities available”. That should not be a very difficult task..but just this morning i read in the paper that (large) organizations fail to use potential innovative and creative talents with their own employee’s. If we could accept we’re all different and that this is – in essence – : the good thing! – it might be a lot easier to accept eachothers thinking, learning and coping styles. Maybe we need to get more aware of eachothers styles…or at least our managers should… These selftests learn us that you either can be mediocre at all styles or excell at a few. To score high points in one style, is always at the cost of the other styles. So maybe the question to ask is whether you want to work with the somewhat good at all – with peopel who score high on the same style or if we’d like to be more tolerant and combine the people’s with great scores on different styles. I guess it comes down to whether you are result focused or just hanging in to have a quiet time at the office.